Measures 17 x 6 feet! This puzzle isn't just big, it's huge. 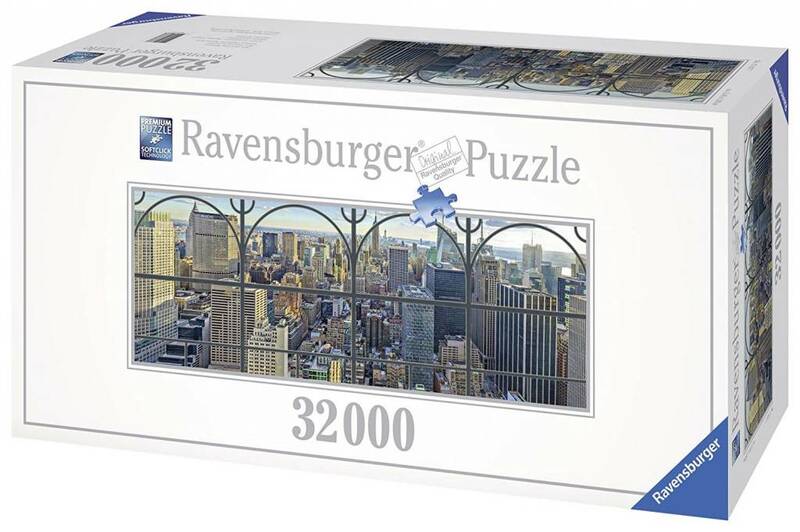 At 32,256 pieces it is Ravensburger's largest jigsaw puzzle measuring almost 18 feet long by 6 feet tall. 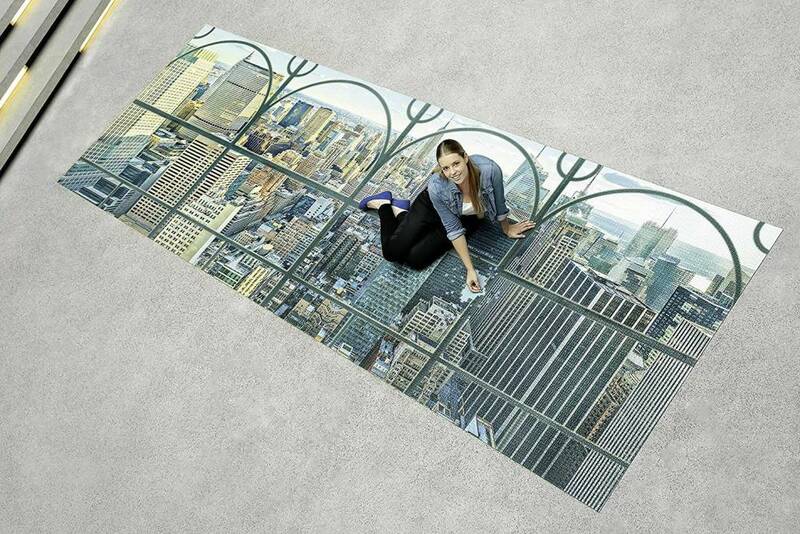 This breathtaking image was taken as part of the Manhattan Gigapixel Project and is composed of 65 individual images resulting in stunning detail and featuring the view out of the 61st floor of the Rockefeller Center. 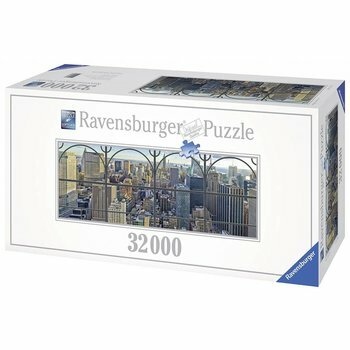 This puzzle comes packed in a large sturdy box and features the same Softclick Premium Puzzle technology like all other Ravensburger puzzles.